The aeronautical engineers at A.V. Roe Ltd. In 1948, the first class of the new aeronautical engineering school at the University of Toronto graduated. This graduating class comprised people such as Gerald Vincent Bull, Fred Matthews, Daisy Pon, William McCarter, William Kuzyk, and Ralph Waechter. Most of these individuals (including the first woman to graduate in aeronautical engineering) would take on jobs at the A.V. Roe Ltd. headquarters in Malton, Ontario. 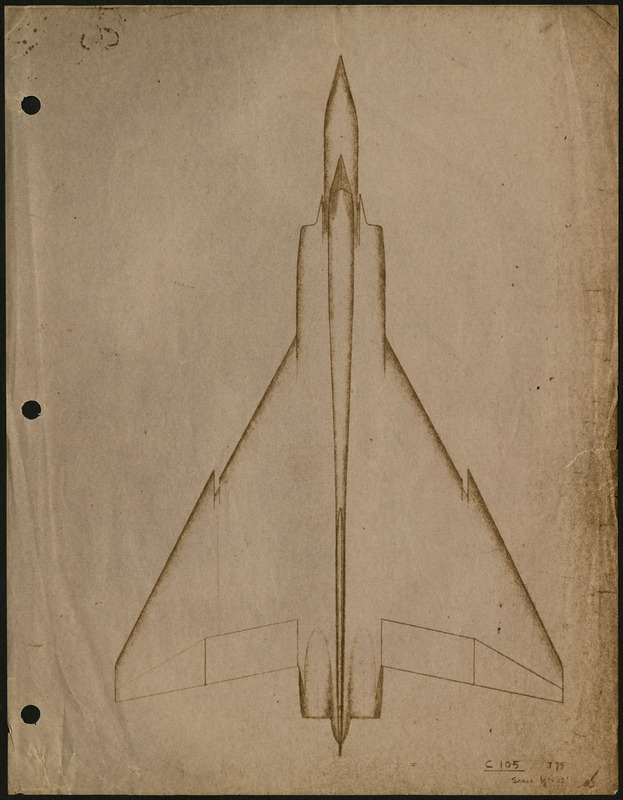 They would go on to work on various aspects of a number of revolutionary aircraft that would appear within the next ten years, including the famed (and fated) supersonic Avro Arrow. Library and Archives Canada recently acquired the fonds of two of these individuals, William Kuzyk and Ralph Waechter. The story of A.V. Roe Ltd is, as the Canadian Air and Space Museum suggests, “a chronicle of triumph and tragedy for Canadian aviation.” Starting in 1945, the company had two initial projects. One was a commercial aircraft called the Jetliner, or the C-102. 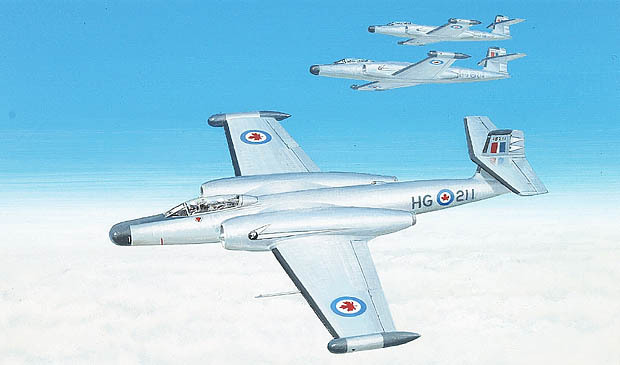 The other was a military aircraft, a two-engine, all-weather fighter-interceptor called the Canuck, or CF-100. Finally, starting in 1950, the company began work on the design for the Avro Arrow. The company assembled aeronautical engineering teams from Britain and Canada and began work on the design of the airframe and turbo-jet engines for these airplane types. The C-102 Jetliner was a revolutionary aircraft designed for commercial air travel. 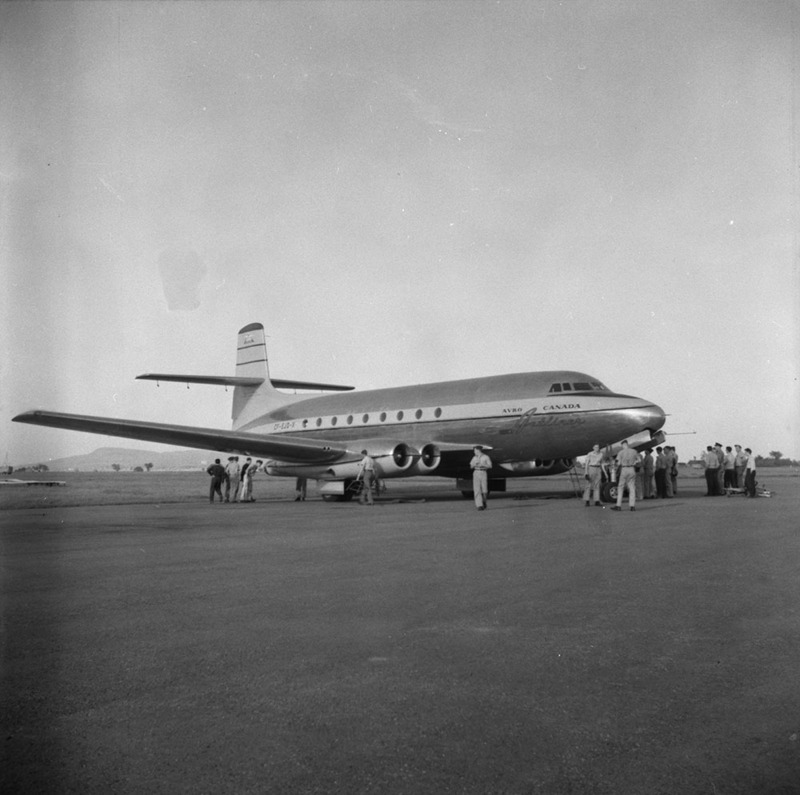 The first flight of the C-102 Jetliner was in August 1949, and in every subsequent flight, it broke records for speed. Unfortunately, production of the aircraft never went beyond the testing phase. In the late 1940s and early 1950s, it was an exciting time to be an aeronautical engineer, and A.V. Roe hired new graduates in the field immediately. Ralph William Waechter (1926–2012) studied aeronautical engineering at the University of Toronto from 1944-1948. After graduating, he was hired to work as an aeronautical engineer, a flight-test engineer, and an experimental aerodynamicist at A.V. Roe Canada Ltd. in Malton, Ontario. William Kuzyk (1922–1990) attended the University of Toronto between 1943 and 1949, graduating with a degree in Aeronautical Engineering in 1949. While he was completing his degree, he also worked for A.V. Roe as a design checker in the Gas Turbine Division. During their decade of work at the company, Waechter and Kuzyk worked in various departments. Among other things, they were flight test engineers in the Flight Test Research Department. Here, their principle activity was data collection. Many of their reports deal with the technical challenges of high-speed flight and the related phenomena that can occur. Along this line, there is considerable data and graphs indicating performance and effects, particularly in relation to air speed and high-speed performance. 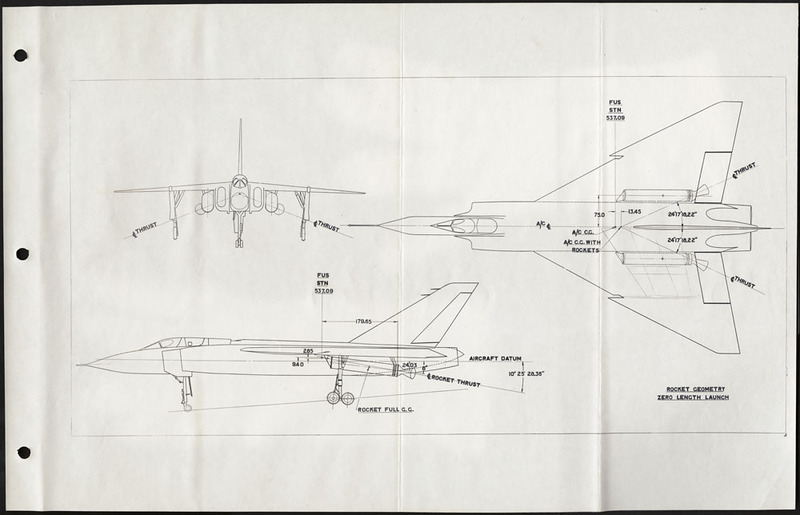 Concerning the Avro Arrow, both aeronautical engineers tested the performance of various other experimental versions, including those with zero-length launch technology. Despite continued design and flight success through to 1958, the international and national political climate played a role in the demise of the Avro Arrow. 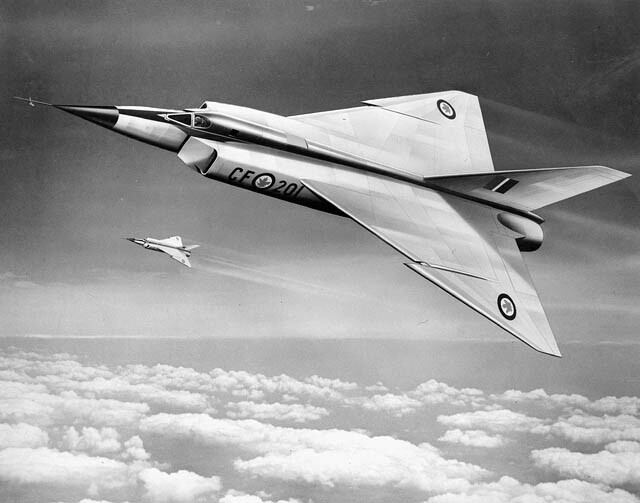 On February 20, 1959, the federal government cancelled the entire Avro Arrow project. All work on the project ceased, and 14,000 employees at A.V. Roe were laid off. Waechter and Kuzyk, like many other employees, found jobs in aeronautical engineering companies in the United States where they would stay through the 1960s. Unlike others in the field, they came back to Canada in the early 1970s and had continued success in their fields of expertise. 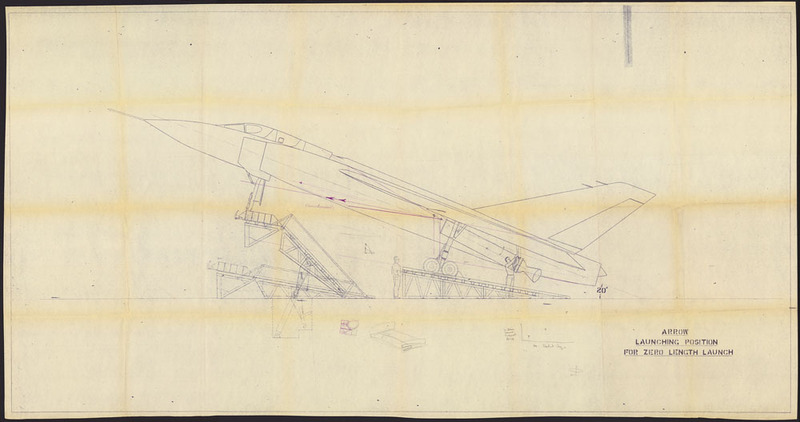 When the Avro Arrow project was cancelled, it was advised that all project records be destroyed. Consider, then, how lucky it is for us that neither William Kuzyk nor Ralph Waechter heeded these orders. 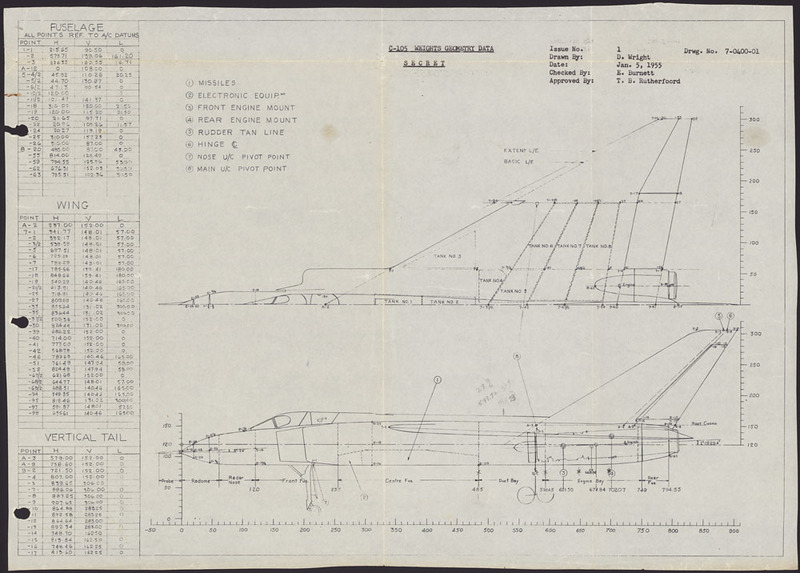 Because of this, we now have unique visual evidence of the innovative aeronautical research and development that was occurring in Canada in the middle part of the 20th century. Andrew Elliott is a private archivist in the Science, Economics, and Environment section of the Archives Branch of Library and Archives Canada.